I was lucky enough to train as a Gamelan workshop facilitator with Manchester’s Halle Orchestra Gamelan and to play with the Hull Honorific Sea Dragon Gamelan Orchestra. 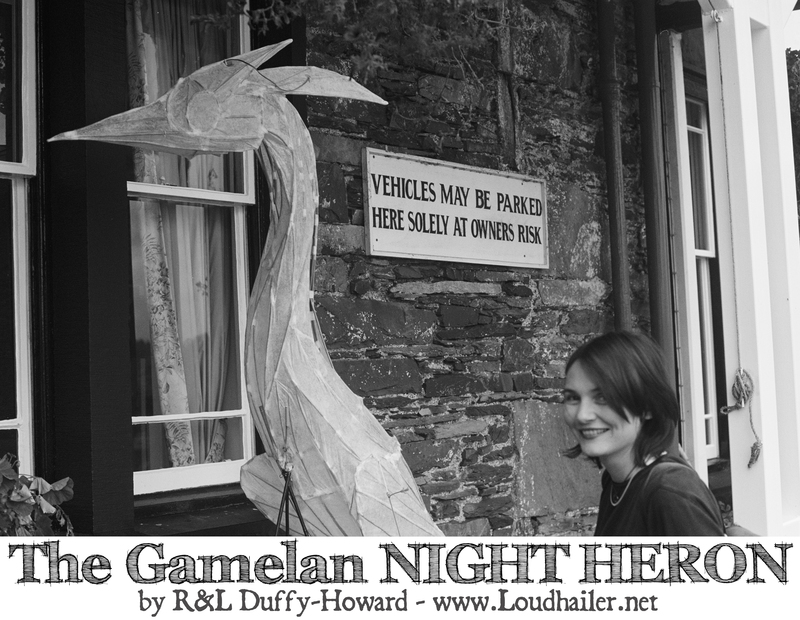 Around that time Rich and I wrote and recorded The Gamelan Night Heron as the soundtrack to Linda Martin’s art film. 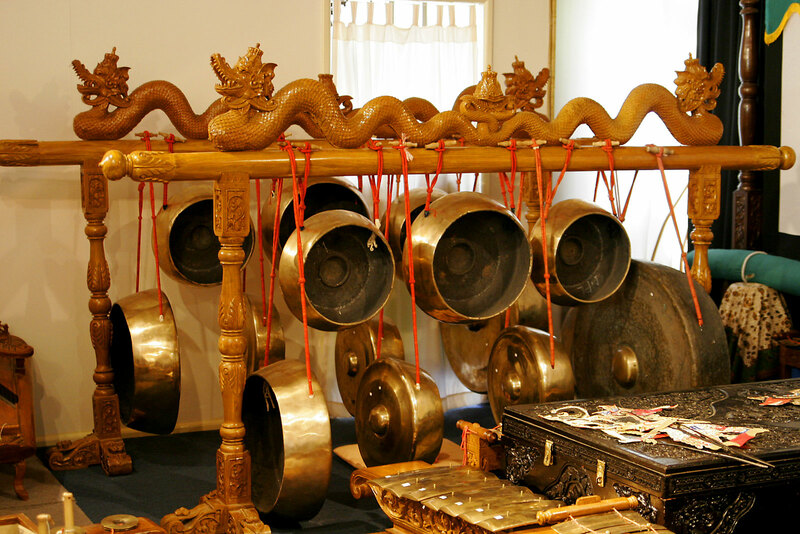 We used some gamelan instruments – the saron, slentem and gender – and explored different ways of playing them for this recording. You may notice that I have a strange vocal accent. This is because I recorded Rich’s vocal, then flipped it round so it was backwards, I listened, and copied the backwards vocal, recorded it, then flipped it back round again. There is a film cut of the music, and a radio edit. With thanks to Hull Community Gamelan and Alan Raw for djembe and rainstick. Rich & I perform The Night Heron with our full psychedelic electric band, the Loudhailer Electric Co. You can see a video of us playing it here: Loudhailer Electric Co.
On the lake, a boat, and on the boat, a huge paper heron all lit up with electric light. And from the boat the sound of the gamelan – the saron – fades into the distance as the boat is rowed towards the far shore.